This is a website that provides services about betting to its users. They give betting tips about horse races and the odds of what horse would win. Most of the people who bet on horse races might have a clue what horse is good and which one may win depending on a rider and the horse itself. However, at Bet Alchemist, you get to skip all the parts of getting to intimately know horses and jockeys and get straight on to the betting part. The best way to becoming a master a t horse racing would first require that you be familiar with the language that is used at the tracks. If you are betting online, you need to know whatever you can about who is racing with what horse and all the little details. Now, before you get to the betting part, here are the three strategies that you can use to get better at betting. But first, get to know how the odds work. There are two ways in which the odds are placed. You will find the fixed system or the Pari-mutuel betting kind. In fixed odds betting, the payout for the outcome of the race is agreed on and cannot be changed after you have placed it. In the pari-mutuel system, the bets are assigned pay outs depending on the tote, which will determine what cut the house will take. All the money is in a sort of pool and the final payout is not determined until the betting pool is closed. This is the strategy where you bet on a selection of several horses and you will make the same amount of money regardless of which one won. When you decide to take this type into account, consider that there are some calculations that you will need to do. This is not a surefire way of winning magically. It is just a reliable way of increasing your chances to win or just earn money from these races. Sounds foolish in a way but here is how it works. There may be a horse that has been winning but even the really good horses will not win every time and at one time it will have a streak of coming in second or third. So, you will keep on backing the beaten horse which had been winning previously. It will have higher odds and the antes are piled up a bit high. If you win with this one, you will get a lot of profit at the end. This happens especially when you know that the horse is going to bounce back unless of course it falls and gets an injury which affects its performance so greatly. Here is how this one works. You take the top three horses and pick out the runners which have odds of between 3.0 and 5.8 and then lay your get on the one with the lowest odds. Over the years, statistics collected about his statistical lay strategy has shown that 80% of the time you will win. The logic that works here is that the top three horses within the ranges described win only 17% of the time. This means that when you bet the horse won’t win the race, you will expect to get a profit of 18%. Whenever you look at the past performances of the horses, you will realize that they have a pattern or consistency of some sort. This will help you make a decision on which horse to pick. Learning from history is very important as it could be the one thing that will save you from losing money. The horse should have a really good track record before you can consider it. You should know the horses before you bet on them. For example, a recently bought horse that cost the owner a lot of money might mean that they saw potential in that horse. Another thing is the consistency in the races. If a horse has kept on recording the same speeds, it means that it has been properly trained and is in top form. Also, it is widely known that male horses are faster than their female counterparts. This does not mean that you should not pick a horse just because it’s female. If it’s winning, it’s okay. The jockeys are also a part that you should consider when you want to bet on a certain horse. You will get to know these jockeys after spending enough time at the tracks. They have their own unique way of influencing what happens in the race. When you have seen that a certain rider has had a good track record, it will have to be taken into account as well. What Makes a Good Racing Horse? When you are looking for a race horse, there are several factors that you will have to consider but the top ones are the ones we will take a look at here. They will include breed, weight, birthplace conditions, training and the jockey. When you are looking for a good race horse, you need to know which breed it is in order to do this, you will need to visit the stables to see the horse for yourself and if you don’t know how to identify a racehorse from the rest, you will have to get an expert. Breeding will ensure that the genes the horse has are at least close to the ones that race horses have. The best way to make a good racing horse race better is if it is trained. That is why you will need to have a really good trainer to make your horse a race horse. The trainer knows what the horse likes, what it should eat and how much it should run before you pull it out for rest. The trainer will keep track and monitor the progress. This helps you take care of the horse in the ways that matter and make a fine winner. This may sound like bias but only three female horses have ever won the Kentucky derby. That is why most people would recommend that you buy a male thoroughbred because they are generally faster. They are built for the endurance and the hard work that goes into winning the races. However, if you have found a female horse that runs like the wind, I don’t see why you should not enroll her into the races. A horse should be very enduring and in top form to race better. If you want to have a racehorse that is a winner, you better get one which has been training since it was young and the vaccinations should be up to date. Any and all histories of medical problems should be reported to you before you even leave the stables. There should be an onsite medical exam carried out by a vet that you will bring yourself to ascertain that the horse is good to go. The jockey who rides your horse should be able to familiarize himself with the horse so that they have a rapport. A horse knows the rider and a good jockey can make the difference between a good horse and a poor one. When you are trying to select which horse is most likely to win, there are a lot of things you will have to factor in. these are some of the major ones. This will include the current and overall form. When you have this information, you can tell whether the horse is worth betting on or not. This does not just depend on the results only; you can look at the form and the way it has been performing. Maybe it has had a marked improvement. Some horses perform better in other courses but not in others. The same applies for the jockeys who ride them. In other places, they are more likely to win. This is not always easy to explain but you’ll notice that it does happen and there is little or nothing that can be done about it. When selecting the horses that you want to bet on, consider such things as these and keep them in mind for future reference. When you get to the racetrack, you will find that they sell a certain guide that has the history and little details about the horses in that day’s competition. When you first meet this guide, it might be a little complex but when you get used to it, it can become your most invaluable ally as it has some really insightful information. This is the style where you take into consideration the fact that they will not win the race unless by some really huge stroke of luck. You will end up with very few horses to bet on and higher odds. Running in different styles or gats which require the horse to canter, trot or march depending on the requirements. 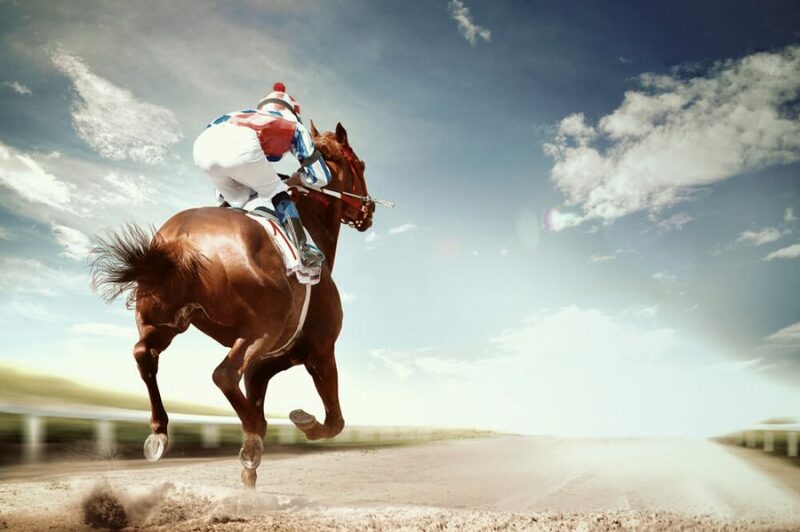 Horses have been racing since the ancient Greece empires were in power. They form a significant part of the mythology of the Norse people and the ancient Greeks. During the byzantine era, there were organized races that included chariots, horses racing all on their own and being ridden by soldiers and other competitors in the arenas. The sports were dangerous, which was part of the fun to the people watching. 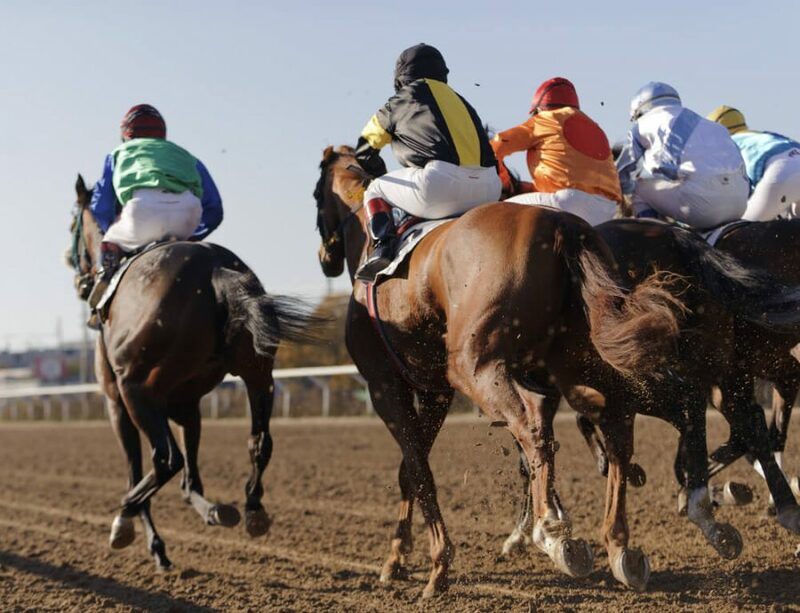 In America, horse racing started at around the years 1665 when the first professional and formal race was held in Long island. Thoroughbred racing is carried out every year all year long where betting takes place. This is however regulated and sanctioned by the government to ensure that it is perfectly legal. Over the years, they have advanced from a few races to several racetracks being built countrywide to accommodate the growing number of fans, racers and investors. The horse racing industry itself grosses billions of dollars each year from betting and other activities. Because horses cost a fortune when it comes to maintenance and cost, they are mostly bought by wealthy individuals who then enter them into races and get a jockey to ride for them. It becomes a sort of investment. They have always been expensive and horse racing was always regarded as a sport of the kings. In the 12th century, the crusaders came back from the Arab lands with the faster and leaner Arab horses which had been bred for the purpose of their speed and endurance. It was at this time that the nobility would wager on the horses though secretly to see which one was the fastest. In 1750 a couple of people who had interest in breeding and racing horses met in Newmarket and formed a jockey’s association that still regulates horse racing in England up to now. This was after they had seen the potential that horse racing held as an income source and the people it attracted to attend. Breeding has never been an exact science and even then, breeders have always followed a certain principle regarding the production of racing horses. When two horses with superior racing genes in them mate, they will most likely produce an offspring with their speed and agility. It isn’t always the case by they have had success for a long time now. Currently in America, all betting is done using the pari-mutuel system of wagering and has caught on successfully. Jockeys have some of the most difficult work outs that include rationing their food so that they can maintain a certain weight, specifically below 59 which means that they are just like other athletes and that they have to be in top form to compete. This list is for some of the best. These are the top 10 jockeys in the world currently according to their track record and their current success in various races. The above list is for the ones who have distinguished themselves and are in a class of their own. When you go into the world of racing, you will probably know very little about the way the whole process works and what you should do to get the winners. You will need the tips to help you get the right ones every time. We all enjoy winning streaks as much as the next guy and this is how you do it. This one is sold at the race track and it will be your best friend if you want it. The data contained in it will help you make the best bets and ensure that your chances of winning are high. This is the best way to keep track and by writing down the things you need to know and the little fun facts that you will learn along the way helps. This way you can have record you understand and trust. If you want to know how the horses have been performing, the best people to ask would be the ones that frequent the tracks and those who have had success in this kind of thing. That way you can be sure that you really are getting your facts from the horse’s mouth. In conclusion, you will have to come here and read the facts we have so graciously offered for your own education. This is the other place you can come to, to get the best tips about the basics before you move on to bigger game. Horse racing is an interesting sport but betting on it is quite difficult. I always lose when I gamble even when I thought I knew enough to win it! But because of this, I should really be intellectual on the sport. I should be aware on even the smallest of details. I’ll try playing again this weekend! Very informative post. People (myself included) often forget how many factors are actually involved in horse racing and betting. Keep up the good work! I did not know that there were so many things that require my attention before betting. This post thoroughly explains all small things that I previously ignored. Very helpful indeed! With this program you will be equipping yourself with everything to be successful at horse betting. It helped me a lot. There is so much to understand about horse racing and trading. I thought i knew so much more about horse racing and trading but i was not making enough. I decided to get this guide after hearing how much perfect the system is. I like it since there is clear explanation of so much about horse trading.